Home Repair, Home Sales, Office, Computer, Vehicle - On call - We come to YOU. Fix All Scottsdale is a family owned company. You'll talk directly to a tech. We aren't a network of companies, but one company that handles many types of home care and repair. It's like having your own personal handyman, computer tech and mechanic. You can call us with questions and get a straight answer. If there's a particular job we can't do, we'll provide you the info you need to hire an outside contractor. We're not affiliated with any store, so our tech will never try to upsell you on products, or recommend buying items you don't need. You can even specify a budget for a specific project, and our company will try to work within the price range if possible. Fix All Scottsdale will try to work around your schedule, meaning that you can make appointments, days, nights and even weekends. Plumbing: (Bathroom/Kitchen/Laundry) Faucets, showers, toilets, kitchen sinks, garbage disposal, dishwasher, refrigerator. Replacement parts, cabinet repairs. Electrical: Add outlets, repair them, install light switches, dimmer controls, indoor or outdoor lighting, motion sensors. Home Theaters/TV: Plasma TV install, Equipment wiring, in-wall speakers, drop-down TV and computer monitors for any room, Home Theater screens, set up, remote control programming, theater lighing, dimmers etc. Heating and AC: Heating: Air Conditioning troublhooting, AC Freon recharges and repairs. Pool/Spa: Troubleshooting, clean filter, motor repair or replacement, heaters. Get old unused spas working again. Horse Corrals and outdoor: Welding, fence repair, automatic waterer repair or installation, plumbing leaks, plumbing additions, frozen pipe repair, pipe insulation. Faux Finishing: Available soon. Booked up through February. Touch ups, entire rooms, murals, decorative painting, custom furniture painting, custom artwork, children's theme rooms. The artist will even give faux lessons at your home for you or a group of your friends.Click HERE for examples of the work! Home Staging - Sales Assistance: (make your home irresistable to buyers) Home staging companies can cost a fortune. Limited budget? No problem. We can make your home presentable for sale with minimal expense, and using items you already have. Leave some furniture in the home, or just provide a few items to give a property a home-like feel. We can also arrange to buy the basics, such as bathroom towels, soaps, shower curtains, silk plants, candles, potpourri. You don't need a lot of items, and if you review our tips, you can even handle this yourself! Photos can be taken after the staging, and given to you/your realtor on a disk for quick upload to real estate listing sites. Home Care - Vacation Home or Vacant Real Estate for Sale: Check-ins on your home, make sure electric, gas, phone, cable, sprinklers, pool/spa are in safe working order. Timers are set correctly. Check up after power outages. Coming into town? We'll do the shopping for you and stock refrigerator, pantry, toiletries and necessities upon your arrival. Special Occasion? Wine, appetizer trays, fresh flowers, candles etc. Give us your list. Winter: We'll start vehicles and do routine maintenance. (Also available for Collector Cars that are garaged elsewhere). Seasonal: Make sure A/C or Heat is on when you arrive. Vacant Home Care - Properties for Sale: Make sure landscaping is taken care of, home is secure. Clean floors and carpets of any debris left behind from property viewings. Dust counters, keep sinks and toilets clean. Maintain sparkling pools and spas. Sweep debris outdoors/patios. Freshen up properties on daily or weekly basis. If there are towels in restrooms, we'll keep a set washed and ready for replacement, along with soaps etc. Clean pool filters etc. Computer Repair and Emergancy Crash / Data Recovery: Crash recovery, data recovery, program installs and restoration, wired or wireless networks, virus and spyware removal (and education on how to do it yourself), computer routers, security, firewall installs. 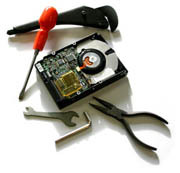 All data recovery on-site, your computer never leaves your home, and all records are discreet/confidential. We can also install more RAM, new Motherboards, Hard Drives etc. Click HERE for our Computer Site. Vehicle Repairs/Removal/Car Sale Consignments: Jump Starts, battery, flat tires, A/C repair, wires, belts, hoses, troubleshooting, electrical repair for electric windows, locks, etc., Complete car audio installs, radio, CD, iPod, Mp3 players, Bluetooth Hands-Free cell phone kits, video screens, custom upgrades, custom salvage car-parts for older vehicles or rare vehicles. Auto restoration whether it's a newer or classic car. Hidden radio installs for retaining look of vintage cars, alarms, shock sensor security, auto-start, keyless entry, replacement remotes for any type vehicle, car, truck, motorcycle, big rigs, 18 wheelers, horse trailers, GPS navigation, custom fit Subwoofer boxes, and HHO Water/Gas Generator integration (turn your existing vehicle into a hybrid - completely removable) Run on only gasoline, or a combo of Gas and Hydrogen. Click HERE for more on HHO. Also available: towing and unwanted vehicle removal. 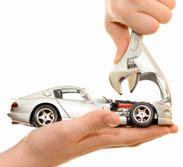 Many repairs can be done on-site, or if vehicle is running, we may recommend that you bring it to us. Our shop has all supplies, tools, air compressors, etc. Coming soon, pet sitting services. Dogs, Cats, Horses, Birds, Livestock, Exotics. Serving Sunburst Farms East horse properties and surrounding neighborhoods. Legal Notice: We are not a licensed contractor, however we do have an Arizona Licensed Contractor on-call if needed. Faux Finishing done by an expert with over 20 yrs experience. Automotive and electrical done by a certified MECP technician with over 20 years experience.